Despite the fact that we were placing our house on the market after spring – the prime real estate season – and the fact that the First-Time Homebuyer Tax Credit had expired two months before our move, we were certain that we would sell the house within a few months. It took almost an entire year – until May of 2011 – before we were able to sell our house, and for a price nearly $20,000 less than what we were expecting to get. This is an all-too-common situation for families who have to relocate. After the housing crash, selling your house is no longer a relatively easy part of a relocation. Luckily, there are several options for homeowners who are trying to sell. During the five years in our Columbus home, my husband and I put many thousands of dollars into home improvements, as well as countless hours of our own labor. 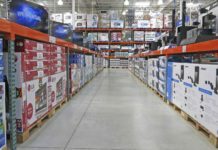 While we knew that home improvement is something that should be undertaken because we wanted the results (and not just the increased resale value), we still couldn’t help but get dollar signs in our eyes when we started planning our move. We originally listed our home for approximately $25,000 more than we paid for it – a price that would have been appropriate for our home prior to the housing crash, but not one that we could get in 2010. By the time we sold, we felt lucky to sell for a mere $6,000 more than our original purchase price. While it is unlikely that originally listing our house at that price would have sped up the sale – the buyers were the first individuals to show serious interest in the house at any price – it is important to remember that money (and time) put into a house often don’t increase the purchase price, particularly in a down market. Work with your Realtor to come up with a realistic number that does not price you out of the market and allows you to sell quickly. One way to do this is to look at prices on comparable homes that have sold recently. If, on the other hand, you view list prices of homes similar to yours, you may not get an accurate sense of the market, since these could be priced well above what a seller is willing to pay. 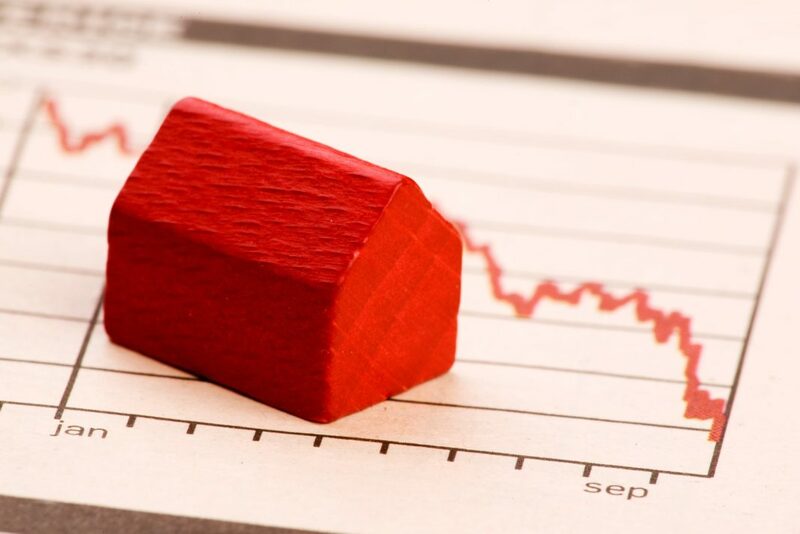 Most importantly, when the housing market is experiencing a glut, you need to realize that the price point where you can sell your home is likely to be less than you’d like, and possibly even less than you paid for the house. But remember, if you cannot afford to sell your house for less than you paid, you’re not without options. Planning for the worst is what all home sellers need to do, and not doing so was the biggest mistake that my husband and I made. We assumed the housing crash had not affected our neighborhood. But with two foreclosures within a few blocks of us and some houses in the neighborhood selling for less than they were worth, we (and our Realtor) should have seen the writing on the wall. Instead, we blithely bought a new house right away in Indiana, thinking that we would only have a few months of double mortgages. A better plan would have been for us to rent an apartment for a year or two as we waited for our first house to sell. Not only would that have taken financial pressure off of us, but it also would have given us an opportunity to learn more about the various neighborhoods in our new town. Another option during a tough housing market is for part of the family to stay put, while the new employee relocates by himself or herself to take the new job. While this may be emotionally difficult, it makes it easier to keep the house in tip-top shape for showings, and allows you to avoid the increased costs of insuring an empty home. Ultimately, it’s best to assume that you won’t sell your house quickly, and make your housing and moving plans based on that. In some ways, renting out your home can be a happy solution to your sales woes. However, there’s a great deal to know about being a landlord before you jump in. Property Management. In addition, the cost of property management – particularly if you are a remote landlord – could potentially eat up a large portion of the rent income. If you are in another part of the country, you will need to have someone on hand to take care of any issues, from clogged drains, to routine maintenance, to deadbeat tenants. In most cases, you need to hire a property manager, which will generally cost you about 10% of the monthly rent. Capital Gains. Finally, your tax burden will likely change when you become a landlord. For example, one potential tax worry is your possible loss of the capital gains tax exemption. As long as you live in your home for two of the five years prior to the sale of your home, you do not have to pay taxes on up to $250,000 of profit ($500,000 for married couples) from the sale of your home. However, if you end up renting out your home for more than three years after your move and then sell for a profit, you will owe money to the federal government on that profit. Claiming a Capital Loss. One flip side to the concerns about the loss of the capital gains tax exemption (especially in a down market) is that renting out your home and then selling it at a loss means that you can claim the capital loss against your income. That can be a huge tax break, and for this reason it’s often a great idea for sellers in a down market to rent out their home before selling, as they can actually recoup some of their loss through taxes. Tax Breaks. In addition to claiming your capital loss against your income, there are other tax breaks available to homeowners who rent out their homes while they are landlords. 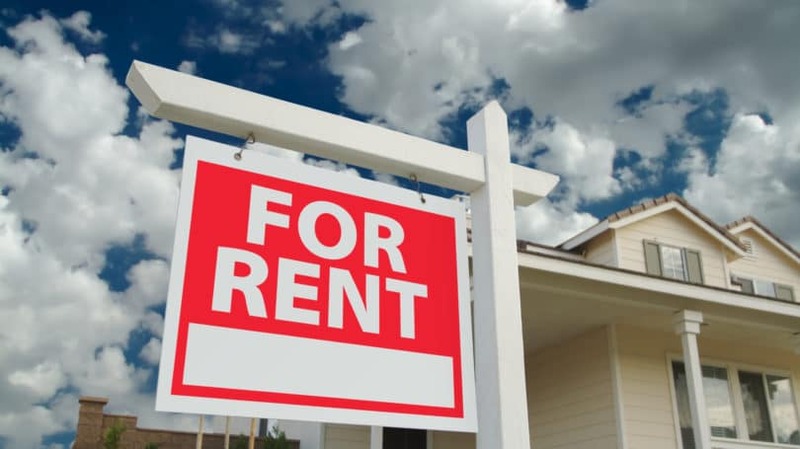 Landlords can deduct virtually any expense related to the maintenance and marketing of their rental home, such as insurance premiums, repairs, advertising costs, landscaping services, property management services, mortgage interest, and even travel expenses related to the rental. It can be difficult to know an appropriate amount to charge for rent. The general rule of thumb for investment properties suggests that you need to charge at least 1% of the amount of the mortgage in order to generate a positive cash flow. However, this rule is a little trickier when you are renting out your existing home. You must first determine how much rent is typical for your neighborhood. Even if there are few rental properties where you live, you can still determine a reasonable rate. Talk to property management agencies to learn more about rates, and search for similar rentals online. Craigslist, Rentometer, and Rent.com are also good resources to check. You also have to factor in your vacancy rates in order to get an idea of how much money to expect over a year of renting. Most investment property advice suggests that you only plan for 10 and a half months of occupancy per year – meaning you can expect 10% vacancy over any particular length of time that you are renting. Even if you find that the amount of rent you could charge (minus the associated carrying costs and vacancy rate) would not be enough to cover your monthly mortgage bill, it still may make sense to rent out your home, rather than attempt to carry the mortgage by yourself. One of the toughest aspects of renting out your home is finding reliable tenants. You need to make sure you advertise in highly visible locations: Online, both on rental sites like Rent.com and Craigslist, as well as on social networking sites like Facebook; through local relocation firms and HR departments; at any local universities; and with an old-fashioned sign in your yard. Once you have applicants, it’s imperative that you put them through a screening process. 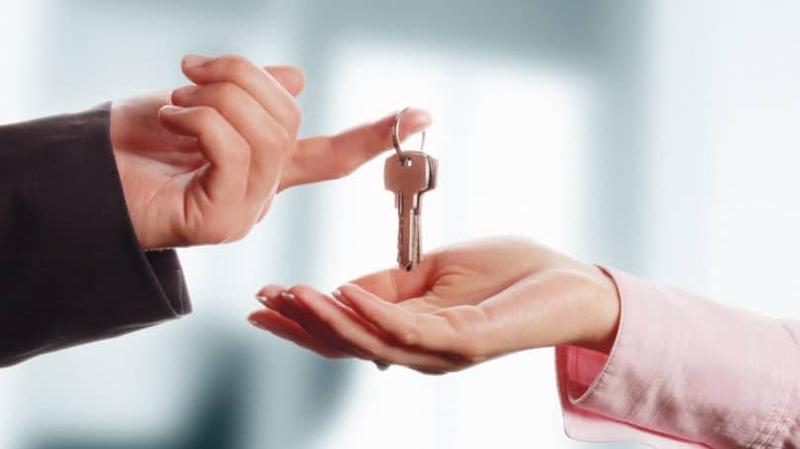 You can find boilerplate applications and lease agreements online, but you must make sure that you ask your potential tenants about their income, employment history, and rental history – and call all of their references. In addition, remember that you can request Social Security numbers for background and credit checks through a website like E-Renter. These background and credit checks cost a nominal fee (around $25), but could spare you a number of headaches. Even if becoming a long-term landlord is not possible or enticing to you, you can still offset some of the costs by renting your home to travelers. Listing your home as a vacation rental on VRBO or on the peer-to-peer accommodation rental site Airbnb can help you to ride out the market slump until you are able to sell. Furthermore, if you utilize your home as a vacation rental often enough that it qualifies as an income-producing property, and you end up selling the property before the market recovers, you can claim that loss on your taxes. If you absolutely must relocate and you are underwater in your home, a short sale is a last-ditch option that will at least get you out of the house. In this case, you and your lender would agree to sell your house at a greatly reduced price, just to get it sold. Your lender then forgives the deficiency between what you are able to pay for the mortgage and the full amount. However, it’s important to note that in some cases, that deficiency is not forgiven, and the seller is still responsible for paying it to the lender. Unfortunately, even when the deficiency is forgiven, a short sale can have long-lasting financial consequences. It can damage your credit score, although not as much as a foreclosure, which is often what a short sale attempts to avoid. Also, lenders generally only agree to a short sale if the homeowner is already behind on payments and has received a default notice. Suffice it to say, a short sale is only a solution if your mortgage problem is otherwise insurmountable. 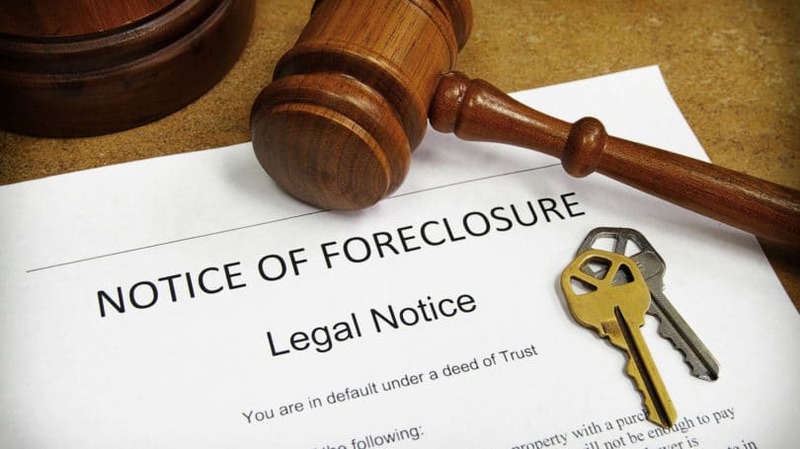 In some cases, it may seem as though allowing the bank to foreclose on your house is your only option. Even though foreclosure gets you out of your housing mess, this is an alternative that you must work hard to avoid. Most people understand that foreclosure has major credit consequences – but not many realize that the hit to your credit might cost you your credit cards. After a foreclosure, the former homeowner may find credit cards cancelled or limits lowered. In addition, it takes years (generally three to seven) before banks are willing to take a chance on a mortgage for a homeowner who has foreclosed on a former home. Foreclosure also does not necessarily mean that a homeowner can walk away without spending any cash. In most states, banks can legally go after homeowners for the deficiency, which is the difference between what the bank was able to get for the home and what was still owed on the mortgage. And even those homeowners who live in a state with anti-deficiency laws still must answer to the bank if they have ever taken out a second loan or refinanced their mortgage in order to cash out some equity. Anti-deficiency laws do not protect homeowners in those cases. Anything that a homeowner can do to avoid foreclosure is ultimately the best financial decision, as foreclosure can continue to negatively affect finances for years to come. It may not be possible to sell your home within the desired time-frame or for the price that you would like, but accepting that fact and making your decisions accordingly can help you reach the best financial outcome for your situation. Assuming the worst about the housing market is most likely the safest course of action for your bottom line. Have you recently tried to sell your home? What other tips do you suggest to those who are struggling to sell?